Brunch is my favorite meal of the day, no matter what time it's served. And where's there's brunch in these parts, there's bubbly. A week or so ago, Tara at Balzac sent me a sample of Ca' Momi winery's new "frizzante" offering: Ca' Rosa, a sparkling rosé. Despite the Italian trappings, Ca' Momi is a Napa winery. To bring a bit of the Old Country flavor to the West Coast, Ca' Momi developed a "prosecco-styled" sparkling white. Apparently that was enough of a success that they decided to venture into the world of pink bubbly with the Ca' Rosa. Ca' Rosa is a blend of Chardonnay, Sauvignon Blanc, Pinot Noir, and Muscat. It retails for $17-18. The wine was described in the tasting notes as "off-dry." I translated that in my brain as "semi-sweet," so I wasn't thinking about it as a dinner offering. I thought it would be a better match for a lazy Sunday morning over an omelet and some fruit. What I didn't count on was the sheer scrumptiousness of the salmon filets that I'd cured and cooked to perfection in my little jury-rigged grill/smoker one afternoon. That home-smoked salmon veritably screamed to be used in a main dish, so we decided to do "breakfast for dinner." A simple omelet, some home fries, a little sriracha on the side, and this bottle of bubbly. Was I mistaken initially. The "off-dry" in the description was much more like "extra dry," which if you remember, is only one step from the bone-dry "brut." The nose was light with some yeast and a little strawberry. The flavor was light with easy pear and strawberry flavors. Nice mousse with a crisp level of acidity. The finish was crisp and fruity. We really enjoyed the bubbly -- and it was a superb pairing with the breakfast food. Brunches aweigh! The Sweet Partner in Crime and I talked for years about a vacation to Oregon. We’d always wanted to see Portland and we hoped to visit my cousin in Eugene. I wanted to return to Crater Lake to take the (spectacular!) boat ride that I’d adolescently skipped twenty years prior. And we wanted wine, of course. The most common appellation you’ll see on a bottle of Oregon pinot is “Willamette Valley AVA.” AVA is WineSpeak for “American Viticultural Area” – the wine growing region. That designation means the grapes were grown within the valley. There are six sub-AVA’s within the larger Willamette Valley: Chehalem Mountains, Ribbon Ridge, Yamhill-Carlton, Eola-Amity Hills, Dundee Hills, and McMinnville. 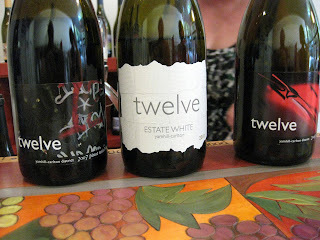 Each has distinct terroir. Oregon’s fascinating topography, carved by glaciers, volcanic eruptions, wind, and water, contains wildly different soil types. The soils do fall into two major categories: marine sedimentary (which generally imparts an earthy complexity) and volcanic (which yields a fruity smokiness). 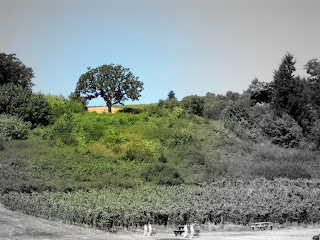 Some vineyards have both soil types, often within a few hundred feet of each other. The first pinot noir from Oregon was produced in the mid-1960’s, and Oregon became a major player in the market in the 1980’s.When Sideways kickstarted the California pinot boom in the mid-2000’s, Oregon pinot producers came along for the ride. Oregon pinot is very different from California pinot. In general, the terroir of Oregon produces a more subtle, lower-alcohol juice, which created a nice contrast for wine connoisseurs. Oregon pinot made a name for itself, and prices rose. Alas, the mass market, fueled by our old friend Miles, demanded pinot. Inexpensive pinot from places like Chile and Australia, as well as some…shall we say…less-well-crafted-but-cheaper California offerings flooded the market. $10-15 pinot made in a big, fruit-forward style became common. Also, thanks to California’s maddeningly consistent (but beautiful) climate, a casual wine drinker usually can be fairly confident of what’s in the bottle. A 2010 wine from a particular producer in California will taste a lot like a 2009, which in turn will taste a lot like the 2008, and so on. Oregon’s climate has much more variation, so specific vintage plays a huge role in a wine’s flavor. 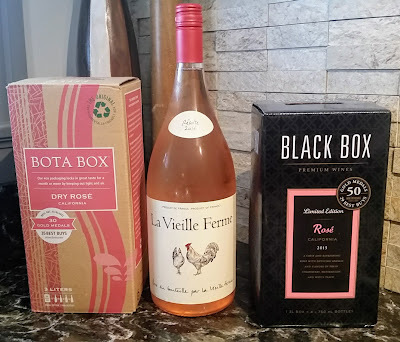 For a while, it was difficult to locate much Oregon pinot at local wine stores. California pinot ruled the roost of mid- to high-end domestic pinots, and Oregon’s low-key marketing approach (not to mention many fewer wineries) caused a pricing problem. 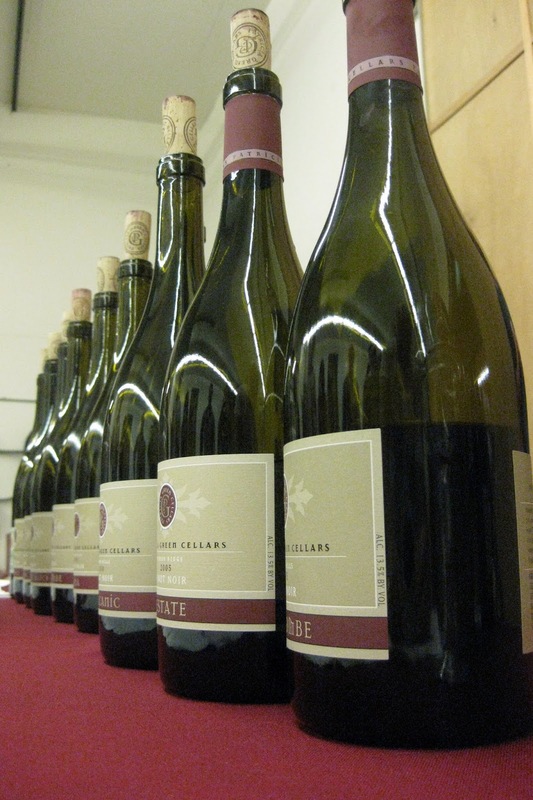 A few major producers (Domaine Serene, Domaine Drouhin, Erath) were able to keep up – but a good number of the mid-sized and smaller producers had to make some major readjustments. As a result, very high quality Oregon pinot became available for about half what you’ll pay for a premier cru Burgundy. 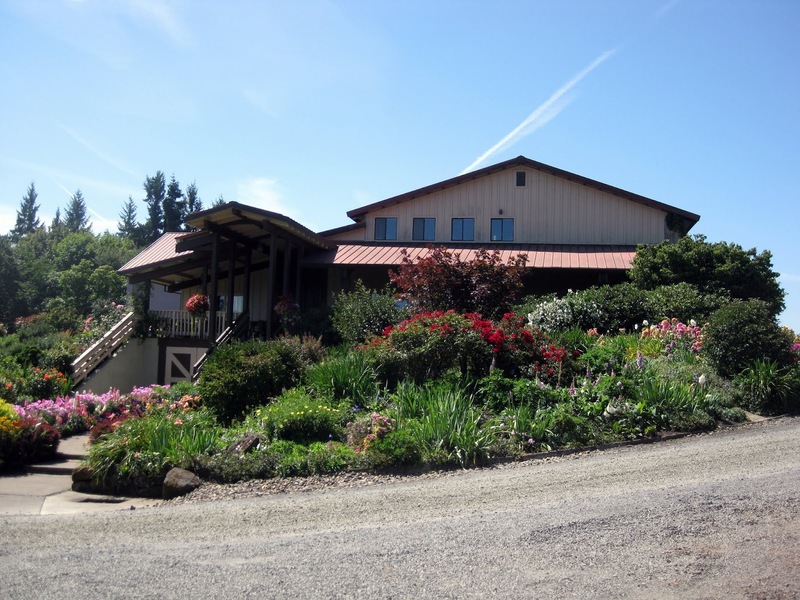 If you decide to take a wine tasting tour around the Willamette Valley and you want to really pamper yourself, consider staying at the Le Puy Inn in Newberg. (http://lepuy-inn.com) Lea and Andy will take good care of you. Though there a number of top-notch restaurants in the area, make sure you have a meal at Tina’s (http://www.tinasdundee.com/), a favorite of Valley locals in Dundee. You’ll be glad you did.